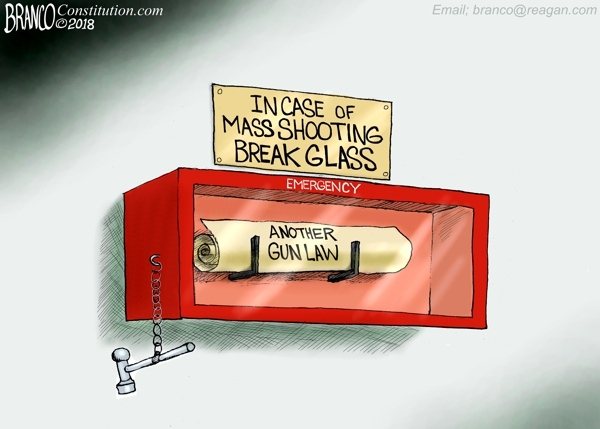 The liberals knee-jerk solution to gun violence is always more gun laws, but never more school security that will actually save lives. A.F.Branco Coffee Table Book <—- Order Here!Donations/Tips accepted and appreciated – $1.00 – $5.00 – $10 – $100 – it all helps to fund this website and keep the cartoons coming. – THANK YOU!